The last few days I have been looking for some reggae music on the net (I listened to lots to reggae in the mid seventies, sick and bored with the “progressive rock” and disco music that was mainstream at the time), in order see if there is something interesting I missed. 1. All sites where you can download reggae albums are Brasilian (looks like that the spirit of sharing with other people music you like is alive mainly in Brasil). 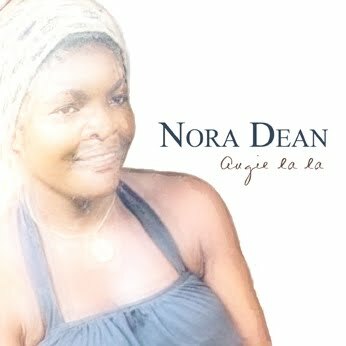 2 The singer which I am presenting today, Nоrа Dеаn, whose song I found on a ladies compilation of Jamaican music. Never ever in my life I have heard anything similar. It is not reggae, nor ska nor anything which you can associate with it. No Rastafari, no Babylon and no healing herb of the nations. A quick search for other songs by the spectacular lady, which has by the way recorded only singles, some with lyrics that would make the easily offended puritan blush (like “Night Food” or “Scorpion“), proved the fact that her other songs were mostly reggae, or some soul variants of it. “First of all, this is not Nyabingi reggae, even though it’s included on a Nyabingi compilation. Second of all, the song is not even reggae. The only thing I’ve ever heard that is similar is Frank Zappa’s 1966 track, “Help, I’m A Rock” from his debut album, Freak Out. Some of the vocal effects are reminiscent of Pink Floyd’s 1968 track, “Julia Dream”. Ay Ay Ay is perhaps the strangest song with the most creative and colorful vocal in the history of Jamaican music.